Kinect Hacked and Used for 3D Video Capture! We knew this would happen that Kinect will be used for much more than just gaming. After it was officially hacked last week, the Kinect has now been used to capture video in 3D which takes it to new heights! The hacker/developer named Oliver Kreylos – a PhD student at University of California, Davis used reverse engineering to hack himself into the Kinect. 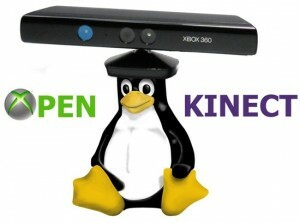 He used the open source Kinect linux driver developed by Hector Martin who won a $3,000 cash prize last week. Martin developed the magin incantations that were used by Kreylos which allowed the Kinect to operate without the Xbox 360. Kreylos wrote his own 3D reconstruction from scratch in C++ using the Vrui VR 3D rendering toolkit. The final product was a Kinect that can capture 3D Video. Kreylos says that only with one camera it was not possible to capture all angles necessary for a full 3D reconstruction. Yet again Microsoft hardware proved its worth where it can be used well beyond its specifications and its scope of use. The speed at which the hacking community is pushing through, advancements seem inevitable. May be Microsoft might see a market here and open up Kinect to such possibilities. Its interesting to note that Kreylos does not own an Xbox and this hack only shows how Kinect can be used on alternative platforms. Microsoft Spying on You through Kinect? Previous Awesome – Run Android on your iPad! Next Scientists to Create Star on Earth!